[EU - RPvE] The Great Wintersday Dragon Hunt! Forums » EU Events » [EU - RPvE] The Great Wintersday Dragon Hunt! IC - You see the followings posters dotted around Inns, training grounds, shops, smithies and bounty boards. As you go into the Consortium office, you see alot of office clerks giving out posters of the Asura, Limu Sprocket to children and families. You notice that the male children don’t seem to be to interested in the posters but are carrying toy staffs with the Heroes Guild Emblem on it, the female children seem to be hugging their signed poster like a teddy bear. You walk away from this bizarre spectacle and go through the big double doors of the Consortium office in Lions arch. Inside the office you notice that it’s filled with Wintersday decorations, empty desks and the place looks bustling with life and chaos. The Asura looks at you, a cocky grin glued to her face. “Heh, that look never gets old." She notices the look you give her and clears her throat. You look back at the charter, the Consortium are known for one thing. Trouble. Whether it be Southsun, polluting the waters of Amnoon, crafty sales…nothing is ever black and white with them. As you look away from the charter you see the "cute" Asura glare at you, drumming her fingers impatiently on the table. You look at the charter, the choice of signing up or not races through your mind, what do you do?! 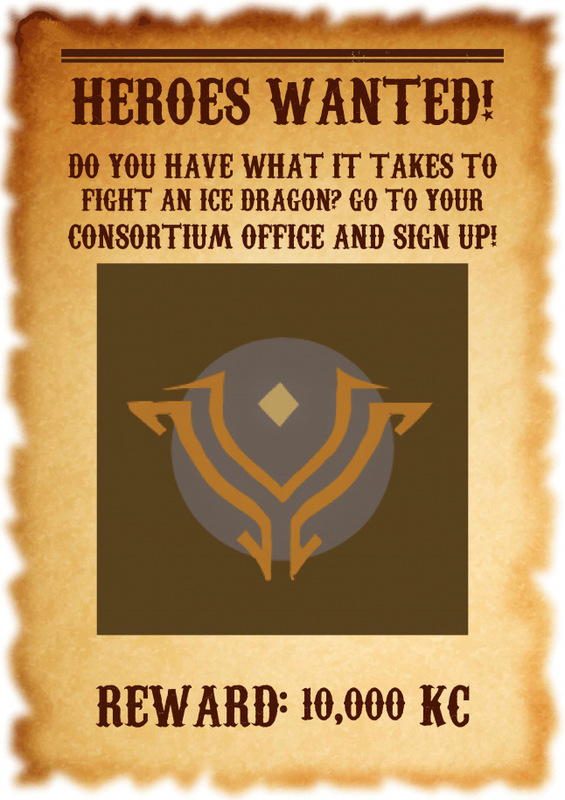 OOC – Who doesn’t want spend Xmas fighting a giant ice dragon and getting the Achi that gives you the 10k Karma reward!? Well, you obviously, otherwise why would you be reading this? The event will be this friday (22nd December) at 20:30 game time, we'll all meet up at Slough of Despond and then beat the Dragon up, then you can either join in some Winters Day events or log off for the night. It's a super casual event that you can jump in and out of. Yeah you can do this on your own as I'm sure tons of players are doing this, more so as you get 10k Karma out of it but, where's the fun in that!? Want to join a guild that Roleplays PvE, WvW and PvP? Click here for more info!